June 17, 2015: Eric Kyle Nicholson, 42, of Swifton, Arkansas appeared before Jackson County Circuit Judge, Harold S. Erwin, and pled to 10 years in the Arkansas Department of Corrections and a 60 month Suspended Imposition of Sentence for Terroristic Threatening a class D felony and Attempted Domestic Battery in the First Degree a class C felony. 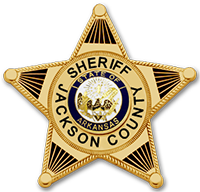 These charges stem from an October 20, 2014 investigation when Nicole Cleveland, of Swifton reported to deputies that she was taken to a remote part of Jackson County where ERIC KYLE NICHOLSON told her that he was going to kill her. Nicholson zip tied her hands behind her back, poured gasoline on her, and then started putting out lit cigarettes on her shoulder. M-F 8:00 a.m. - 4:00 p.m.